A'real' product for'real' people which helps in achieving a no-makeup look. Just Herbs brings to you a herb enriched skin tint - part-skincare part-makeup; is a daily-use product that matches skin shade, blurs imperfections and masks blemishes. Perfect for the 'no makeup look', this unique product acts as a foundation but with no heavy feel or cakey look. 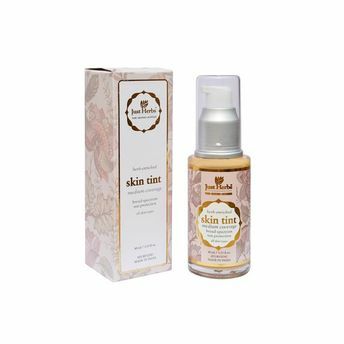 The Skin Tint compliments your skin shade and blends in easily with the skin. It masks imperfections such as fine lines, blemishes, and pores on your skin and gives a flawless look. 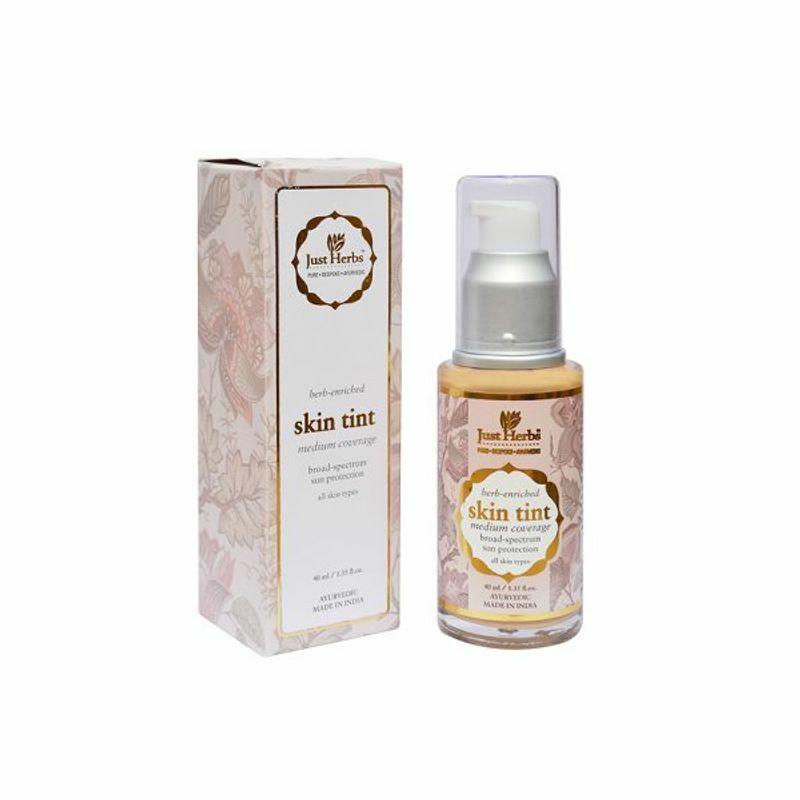 Also, the Just Herbs Skin Tint moisturizes your skin and gives broad-spectrum UV protection. This is a must-have product for daily use and you will always want to have a bottle in your handbag! Additional Information: Introducing luxurious & safe natural-skincare that works wonders for you! Just Herbs is a line of pure, bespoke, and Ayurvedic results-driven skincare made from certified organic and wild crafted ingredients collected from across India. The vision behind Just Herbs was to create a brand that stands not just for luxury alone; but one that delivers a pure and pleasant experience which is safe for the skin, the environment, and at the same time driven by the commitment to bring about results for common skin concerns.